Elite Technology specializes in capacitive touch screens, planar touch screens, and resistive touch screens. We manufacture the finest touch screens for many electronic applications including medical, automotive, and electronic uses. 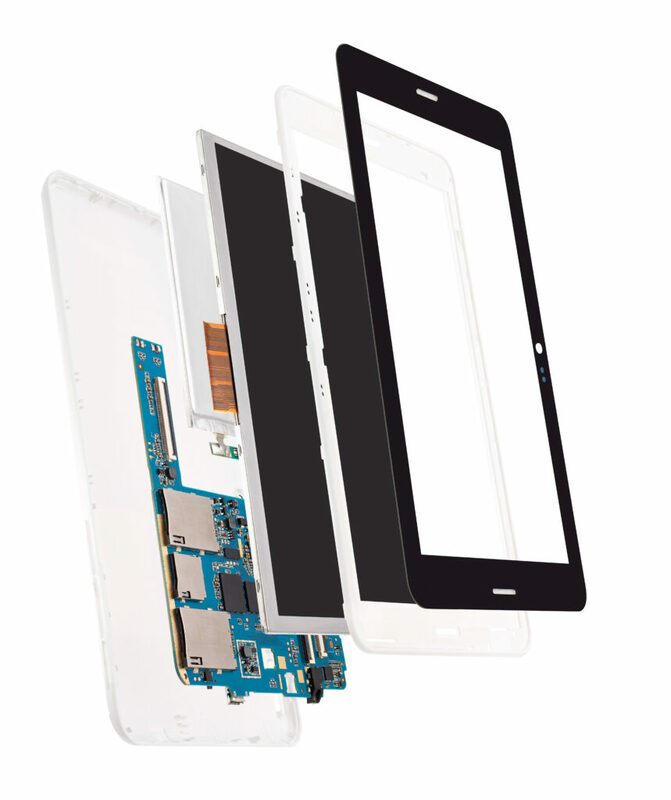 From glass capacitive screens to resistive touch screens with top layers of PET, we can meet or exceed any project's needs. The 4-, 5-, and 8- wire touch screens are analog resistive touch screens. Each type offers a wide variety of standard sizes and we can make custom designs according to customer requirements. The matrix is a digital resistive touch screen — contact us for the differences in each type. Because each of these touch-screen designs has similar working principles, only the 4-wire operating principle is discussed below. Contact Elite Technology today for more information about our planar and resistive touch screens. The construction of the touch screen is basically a two-layer structure. The top layer is typically PET film, which is hard-coated on the non-conductive (top) side to prevent scratches. The bottom layer can be PET film or glass. The conductive sides of the top and bottom layers are coated with ITO (indium tin oxide). The layers are separated by printed, transparent, non-conductive dots to provide spacing. When in operation, a controller provides voltage to the unit. As soon as contact is made between the two conductive layers, the controller determines the X and Y coordinates, calculating the voltage at the touch point. In this common design, the X direction is normally on the top film and the Y direction on the bottom film. Planar resistive touch screens are different from typical resistive touch screens. The planar resistive touch screen has an additional film or membrane switch attached to the top by clear glue, which adds to the appearance of the touch screen. Planar touch screens are the best choice for meeting certain design requirements where necessary. A capacitive touch screen is typically all glass, versus a resistive touch screen, which can have a top layer of PET material. The glass layers have a metallic conductive coating. Electrode patterns along the edges distribute a low-voltage field over the conductive layers. A human finger or a conductive device held by a human hand touches a point on the capacitive touch screen, which draws a small amount of current to that point, causing a drop in voltage. The controller calculates the touch point, registers the touch, and triggers a response. Greater durability and a light-transmission rate higher than 90% are unique advantages of capacitive touch screens. Touch lens touch screens differ from traditional touch screens in that touch lens touch screens are integrated within the face of a device. This does away with the sunken or depressed appearance of the traditional touch screens because there is no bezel around the screen. Touch lens touch screens are capacitive in that they operate by touching them with a finger or conductive device.